Ph.D. in Hydrogeology with a minor in Civil & Environmental Engineering, University of Wisconsin-Madison, Wisconsin, 1988. Postgraduate work in Geology and Applied Mathematics, Chengdu Institute of Geology (now Chengdu University of Technology), China, 1983-1984. B.S. in Geology, Chengdu Institute of Geology, China, 1983. 2002-present, Professor, University of Alabama. 1997-2002, Associate Professor, University of Alabama. 1993-1997, Assistant Professor, University of Alabama. 1988-93 Senior Hydrogeologist, S.S. Papadopulos & Associates, Inc.
2001, Visiting Fellow, University of Sheffield, United Kingdom. 2000, Visiting Scientist, U.S. Geological Survey-Menlo Park. 1995, Visiting Fellow, Australian Nuclear Science and Technology Organisation (ANSTO). 1991, Assistant Professional Lecturer, George Washington University. 2009, Birdsall-Dreiss Distinguished Lecturer, Geological Society of America Hydrogeology Division. 2005, Oliver Lectureship in Hydrogeology, Jackson School of Geosciences, University of Texas-Austin. 2004, S.S. Papadopulos & Associates (SSPA) Faculty Fellow, College of Arts and Sciences, University of Alabama. 1999, Fellow, Geological Society of America. 1998, Recipient of the John Hem Excellence in Science and Engineering Award (for outstanding contributions to the understanding of ground water), National Ground Water Association (NGWA). 2009-present, Panel on "Challenges and Opportunities in the Hydrologic Sciences,�� National Academies and National Research Council, Washington, D.C.
2005-present, Standing Committee on Hydrologic Science, National Academies and National Research Council, Washington, D.C.
1998-present, Associate Editor and Software Column Editor (2002-), Journal Ground Water, National Ground Water Association. 2005-2007, Treasurer, Consortium of Universities for the Advancement of Hydrologic Science, Inc. (CUAHSI), Washington, D.C.
2003-2007, Associate Editor, Hydrogeology Journal, International Association of Hydrogeologists (IAH) and Geological Society of America (GSA). 2003-2004, Chair-elect and Chair, International Professionals for the Advancement of Chinese Earth Sciences (IPACES). 2010, International Advisory Committee, ��Groundwater Quality 2010�� International Conference, Zurich, Switzerland. 2009, Expert Panel, Major National Research Programme on Ecohydrology of the Hei River Basin, National Natural Science Foundation of China. 2009, International Advisory Committee, HydroPredict 2010 International Conference on Eco-hydrology, Prague, Czech Republic. 2009, Luncheon Speaker, California Biannual Groundwater Conference, Sacramento, CA. 2009, Keynote Speaker, Ground Water Summit, Tucson, Arizona. 2009, Keynote Speaker, NovCARE International Conference on Aquifer Characterization, Leipzig, Germany. 2009, Organizing Committee, ��ModelCARE 2009�� International Conference, Wuhan, China. 2008, Organizing Committee, ��MODFLOW and More 2008�� International Conference, Golden, Colorado. 2008, Invited Speaker, 33rd International Geological Congress, Oslo, Norway. 2007, Panel of experts for New York Times on China water and environmental problems. 2006, Panelist, Research Grant Review Panel for Environmental Remediation Programs, Department of Energy, Washington, D. C.
2005, Invited Lecturer, Research Center for Deep Geological Environment, AIST, Tsukuba, Japan. 2004, "GIScience" IGERT Program Advisory Board, University of New York-Buffalo. 2004, Scientific Advisory Committee, International Conference on "Finite Element Models, MODFLOW, and More 2004", Karlovy Vary, Czech Republic. 2004, Science and Technology Center Site Visit Team, National Science Foundation. 2004, Co-chair, International Symposium on "Frontiers of Earth Sciences: Earth, Environment, and Human Impacts", Chengdu, China. 2004, Concurrent Professor, Nanjing University, China. Zheng, C., and G. D. Bennett, 2002, Applied Contaminant Transport Modeling, Second Edition, John Wiley & Sons, New York, 621 pp. Zheng, C., and G. D. Bennett, 1995, Applied Contaminant Transport Modeling: Theory and Practice. Van Nostrand Reinhold (now Wiley), New York, 440 pp. 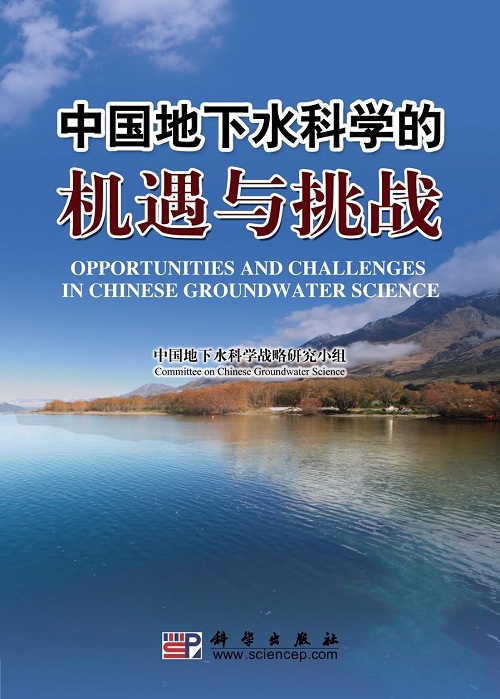 Zheng, C. and others, 2009, Challenges and Opportunities in Chinese Groundwater Science, Science Press, Beijing, China, 200 pp. 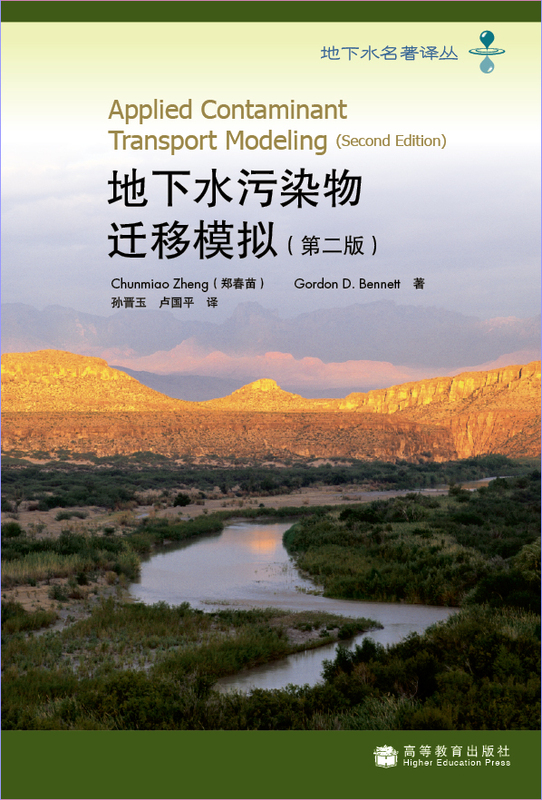 Zheng, C. and G.D. Bennett, 2009, Applied Contaminant Transport Modeling, Chinese Edition, Higher Education Press, Beijing, China in collaboration with John Wiley & Sons, New York, 417 pp. Zheng, C. and X. Feng, eds., 2008, Environmental Geosciences, Higher Education Press, Beijing, China, 254 pp. Chien, C.C., M.A. Medina, Jr., G.F. Pinder, D.R. Reible, B.E. Sleep, C. Zheng, eds., 2004, Contaminant Ground Water and Sediment, Modeling for Management and Remediation, Lewis Publishers, Boca Raton, Florida, 274 pp. Zheng, C., 2006, MT3DMS v5.2 Supplemental User's Guide, Report to the US Army Engineer Research and Development Center, Department of Geological Sciences, University of Alabama. (Available at http://hydro.geo.ua.edu/mt3d). Zheng, C., and P.P. 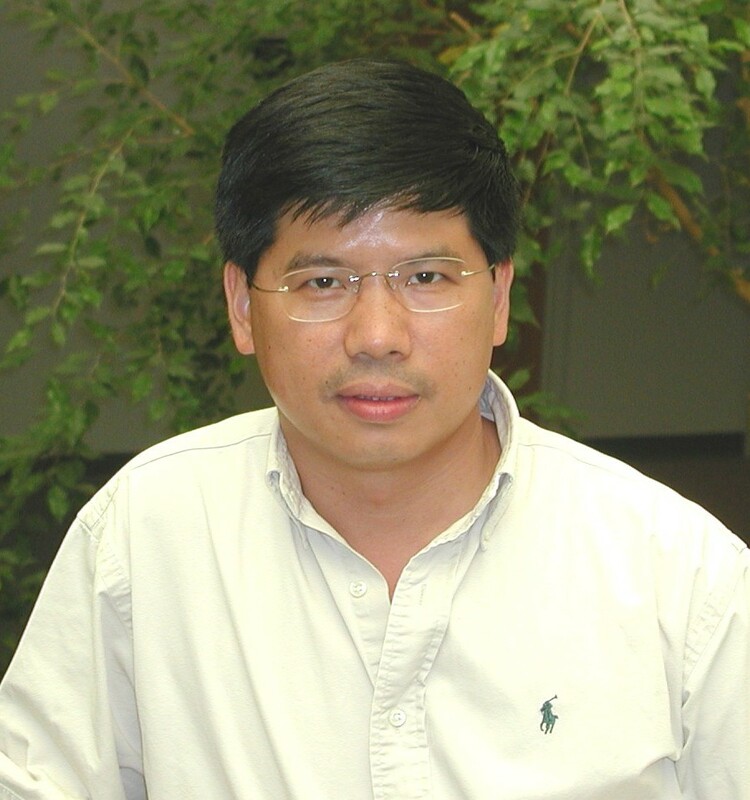 Wang, 2003, MGO: A Modular Groundwater Optimizer Incorporating MODFLOW and MT3DMS; Documentation and User's Guide, University of Alabama and Groundwater Systems Research Ltd.
Zheng, C., M.C. Hill, and P.A. Hsieh, 2001, MODFLOW-2000, The U.S. Geological Survey Modular Ground-Water Model��User Guide to the LMT6 Package, the Linkage with MT3DMS for Multi-Species Mass Transport Modeling, US Geological Survey Open-File Report 01-82, Reston, Virginia. Zheng, C. and P.P. Wang, 1999, MT3DMS: A Modular Three-Dimensional Multispecies Transport Model for Simulation of Advection, Dispersion and Chemical Reactions of Contaminants in Groundwater Systems; Documentation and Users Guide, Contract Report SERDP-99-1, U.S. Army Engineer Research and Development Center, Vicksburg, MS.
Zheng, C., 1997, ModGA: Documentation and User's Guide, Technical Report to DuPont Company, Hydrogeology Group, University of Alabama. Zheng, C., 1997, ModGA_P: Using Genetic Algorithms for Parameter Estimation, Technical Report to DuPont Company, Hydrogeology Group, University of Alabama. Zheng, C., 1990. MT3D: A Modular Three-Dimensional Transport Model for Simulation of Advection, Dispersion and Chemical Reactions of Contaminants in Groundwater Systems. Report to the USEPA, 170 pp. Zheng, C., 1992, PATH3D: A Groundwater Path and Travel-Time Simulator, Version 3.0, S.S. Papadopulos & Associates, Inc., Bethesda, Maryland.